A successful bike share could be huge with the SMART train coming to Sonoma/Marin in 2015.. Hope Sonoma jumps on board, too! Dave, Your cost estimates are double what the Marin IJ reported yesterday. They said the inital rollout is $300k and the full rollout is $1,200,000. I think the idea is fine as long as it is privately supported. I know that Clear Channel Outdoor has made similar proposals for San Francisco/Oakland in exchange for advertising rights on bicycles and stations. The IJ included the operating cost of the system for a year. The first phase they reported on was a pilot program, for $265,000, and the cost of operating the full system plus implementation costs of Phase 3, which is $1,220,000. My numbers are just the start-up costs of Phase 1 – I leave out operating cost – and the full implementation costs of the entire system. See PDF page 115 for the breakdown. ^Marin’s demographics are another potential obstacle. 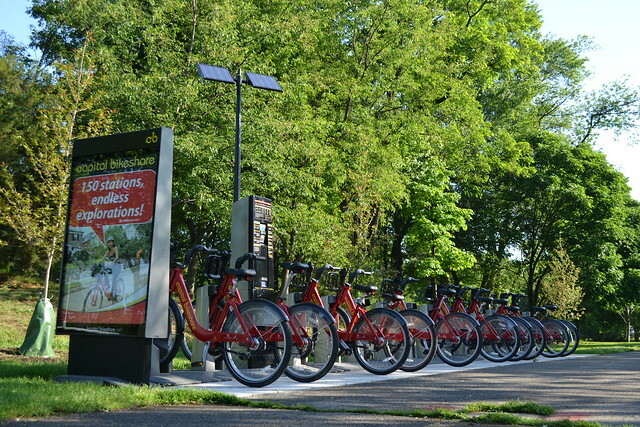 The foundation of most bike share systems is the 25-34 age group. Though they’ve been growing in Marin, the group is a fraction of the size it is in DC or San Francisco. Planners want to harness the 35-45 age group instead, though they’ve been reticent about adopting bike share elsewhere. “Potential obstacle”? Could that be a euphemism for “a bad idea”? It could be, but that’s what the phasing and market exploration is for. It’s not that the 35-45 age group hasn’t taken up bike share at all, just that they do it with less gusto than their younger and older counterparts. A better market analysis is in order to find out. We’re still 2-3 years out from implementation, if it happens at all.